If you’ve been looking for a great way to get into shape, or stay in shape this summer, we’ve got just the perfect solution. Kick off your summer with our Wonder Woman Challenge! You will feel strong, empowered and energized! Have fun while you mentally and physically challenge yourself in both cardio and strength challenges. Bathing suits here we come! Participants get a gold star for every Wonder Woman Challenge they complete. Additional points will be rewarded to the winner of each of the challenges and activities that they participate in. Some challenges will be held at the end of class off the bike. 4) the person who contributed the most to the L Train community with their enthusiasm, perseverance and overall good sportsmanship. 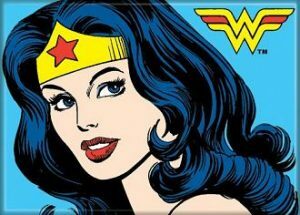 At the end of the 6 weeks, the person with the most gold stars will be our very own L Train Wonder Woman and will receive prizes and a plaque on the wall to commemorate their accomplishment! Go to ltrainfit.co for more details and a sign-up sheet will be in the studio. Let’s go conquer the world! Now you don’t have to go to France to feel the exhilaration of being a part of the Tour de France. Experience the thrill of the competition on both an individual basis, as well as being part of a team to win the different stages of the Tour. As you are racing, you will be able to feel the excitement and energy of The Tour via live stream as you ride alongside the actual cyclists to an inspiring themed set list. Over the course of this 3-week challenge, certain classes will be highlighted on the schedule, as Tour de France competition days. On those days, we will hold different stages of the race for sprinting, climbing, individual time trials and team challenges. 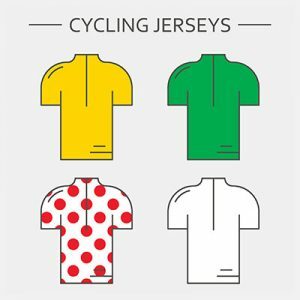 Winners will receive jerseys that recognize their accomplishments for that day- Yellow for winner of the stage, green for the fastest sprinter and polka dots for king of the mountain. They will wear the jersey on the next stage to show their accomplishments. Then the winner of the next stage will receive the jerseys that signify their wins. At the end of the tour, the cyclist who has won the most stages, will be our winner and will receive prizes and a plaque on the wall. Join for the day or participate in all of the stages and work towards the gold, silver or bronze medal. –Mario Cipollini, cyclist, former world champion.